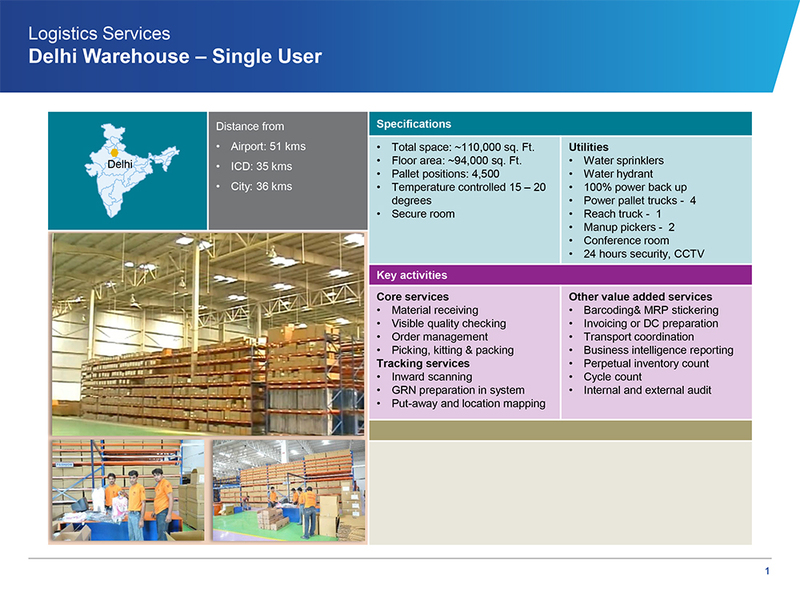 The supply chain is what the name implies…a chain of interdependent activities surrounding products, information and cash flows which, when properly integrated consistently provides targeted levels of customer service at the lowest possible cost -… imperative to the effective functioning of business houses. Our philosophy is that supply chain management must be customer focused which creates a common set of objectives for all functional areas of the organization. More specifically, several issues – as follows -- need to be addressed that are fundamental to the operation of a successful supply chain. •How do we develop profitable supply chain strategies that are customer specific? •How do we integrate and manage supply chain assets and processes to operate at peak performance? •How do we provide supply chain visibiddty and use the information for decision-making? •How do we use demand signals to achieve addgnment? 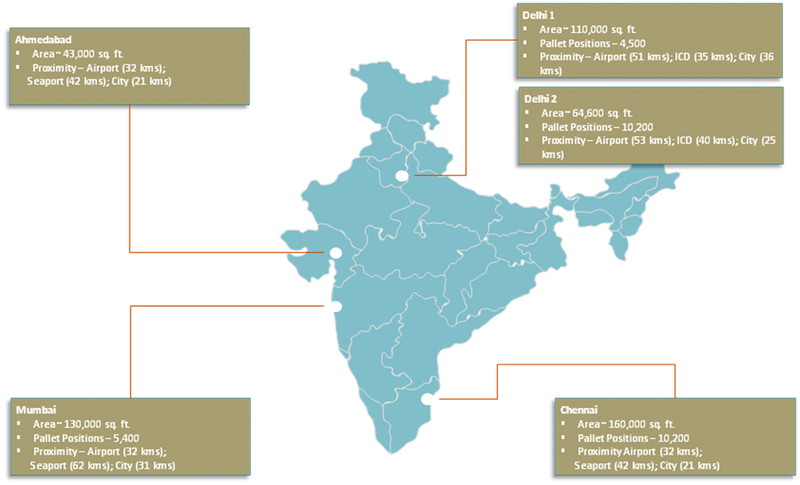 •How do we find and capitaddze on leverage points in the supply chain? •How do we manage supply chain-wide alddances? 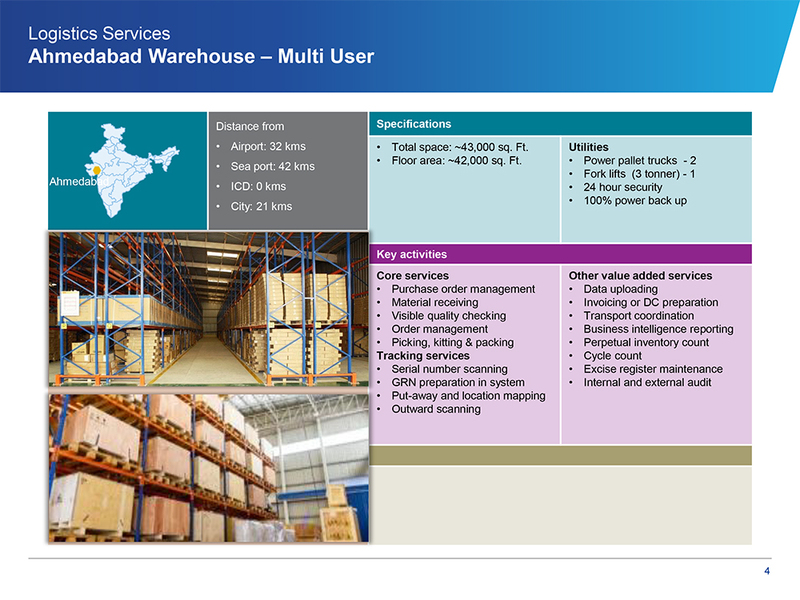 Our Multi user Integrated Logistics Parks clubbed with Specialized products give our customer an edge over its competitor in terms of optimizing Cost and time. 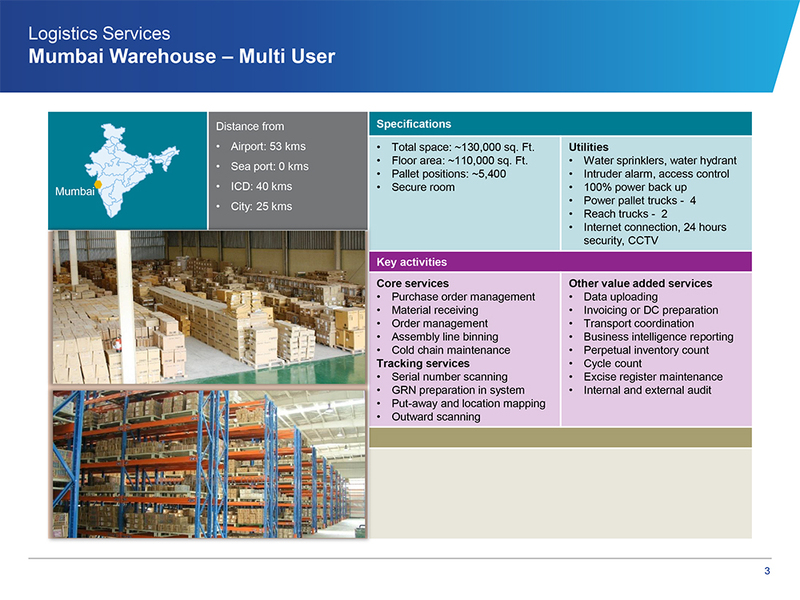 From providing conventional logistics services, our multi user logistics facilities have redesigned our offerings to provide the most complex 3 PL services with ease and precision. 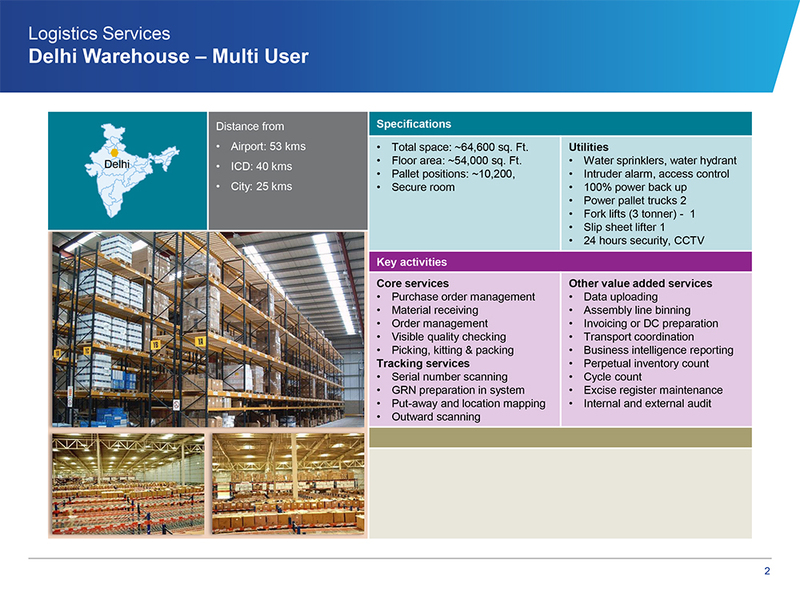 The IT and ITES companies in India today enjoy the best of End to End Supply chain and ensure their security by Serial Number Tracking and save their Supply chain cost by using the park and pay model. The Auto Giants reduce their inventory cost by parking their Vendor Cargo (VMI) in our facility and feeding their Assembly Lines (JIT) form here thus saving them the Inventory Carrying Cost. The Fashion industry looks forward to us for 99.99% PSR level with 0.05% inventory mismatch. The Small designers Have faith on us for their Quality checks value additions and source to store supply. The Pharmaceutical companies trust us on our Ethics and social responsibility that they have handed over their cold chain Logistics to us. We uphold the Trust of Millions. We are strong believers in walking an extra mile with our customers. We believe in enhancing the customer experience by way of increasing our service offerings outside the regular scope of work to increase the efficiency and productivity for our discerning customers. We have dedicated teams to attend to the specific needs to help in cost optimization or time optimization. We have over the years increased our offerings to include pre - production Quality Checks to Re-Binning as per the assembly line requirements of our clients. 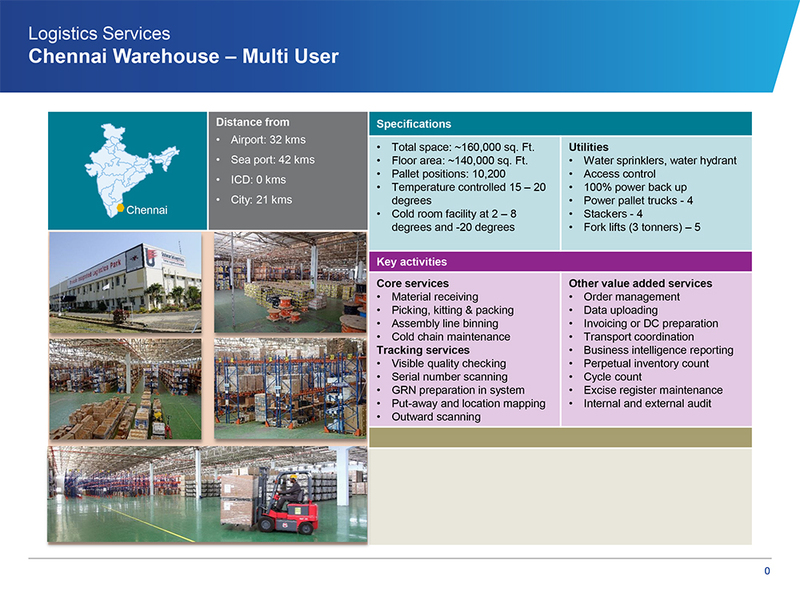 Our Multi user Integrated Logistics Parks spread over 70,000 SQMT area in Chennai, Mumbai, Delhi and Ahmedabad clubbed with specialized products give our customer an edge over competition in terms of optimizing Cost and time.